There are many fat-loss methods being touted these days, but not all are created equal. PharmaFreak's Alex Savva is here to break down three science-backed techniques. Losing fat is kind of like a chess match. You need to outsmart your opponent, which in this case is your own body—an organism that wants to hold on to fat for reasons dating back to prehistory, when starvation, not obesity, was humankind's biggest problem. Just as there are countless ways to win a chess match, there are numerous approaches to burning body fat. Right now, I could rattle off a dozen diets that, if followed to a T, would burn some measure of body fat. Are they ideal? No. But do they work? Yes. The following three approaches are better than most, offering you the best chances for success. I've read the research, and I've followed tried these methods myself, so I'm confident recommending them. The next time you're looking for a way to checkmate that roll accumulating around your waist, try one of these science-backed methods for burning fat. Fasting is nothing new. It, too, dates back to prehistory, although back then it was unintentional and called "starvation." More recently, people have been fasting for generations, and not solely to lose weight. The human body is in a state of either feeding or fasting, but most people spend the majority of their time in the fed state, not allowing a significant amount of time to burn through the calories they packed in. IF is a way of structuring your diet that systematically incorporates periods of fasting. IF can be undertaken any number of ways, and variables include the number of days, as well as the length of the window during which the spigot of calories is turned off. For example, one protocol involves fasting for a period of 24 hours, once every 3-5 days. But there are many others. So why does a seemingly unorthodox approach to eating actually melt off the fat? The human body is designed to store fat so it can use it as needed. When we don't eat, the body accesses this storage as a source of fuel. Research has shown that intermittent fasting can be an effective weight-loss tool because of its ability to increase fat oxidation, reduce body weight, and accelerate fat loss.1,2 This is one of my top diet methods because it really shocks my system. I see results in just four weeks! My personal limit for fasting is 16 hours—anything more than that, and things get ugly. Therefore, I perform a daily fast of 16 hours followed by an 8-hour feed (another popular IF protocol). During this 8-hour feed, the goal is to consume all my calories for the day. For example, I wake up at 7 a.m., down my pre-workout and BCAAs at noon, train at 12:15 p.m., and begin my feed at 1 p.m. with my post-workout protein shake. I begin my fast at 9 p.m., which is perfect timing because I aim to be in bed around 11 p.m.—that is, if my 17-month old son Achilles lets me! In between 1 p.m. and 9 p.m., I'm eating quite often and quite a bit. No matter which regimen you follow, don't fast for longer than 30 hours. Exceeding this limit will lower your intake of calories over the week, resulting in a calorie deficit and inhibiting your ability to access fat as fuel. IF isn't for everyone. Depending on the protocol you choose to use, the long hours of calorie deprivation can lead to low energy levels, fatigue, and headaches. The rest of your life can seem like a struggle. But this diet can be very effective for people who have trouble controlling portions and who constantly feel the need to snack throughout the day. For example, by restricting my daily feed to 8 hours, I feel full and satisfied for the rest of the day. Carb cycling is a dietary approach that alternates periods of lower and higher carbohydrate consumption. During the low-carb phase, the body depletes its stores of muscle glycogen, which is the storage form of carbs. Your body must therefore switch to alternate forms of energy, such as fat. Carb cycling is a dietary approach that alternates periods of lower and higher carbohydrate consumption. This leads to fat burning, and for some people, weight loss. The high-carb phase seeks to refill that lost muscle glycogen. The resulting surge in the hormone insulin delivers lost nutrients to the muscles, where they can be stored for future use. This continuous switching back and forth between low- and high-carb phases helps to up-regulate the metabolism, keeping both fat burning and muscle building hormones responding. The result: less fat, more muscle, and an improved body composition. The first step to carb cycling is to determine how many calories you should be eating. The next step is to determine the amount of each macronutrient you need to eat during the low- and high-carb phases. For low-carb days, set your protein intake to 40-50 percent of your total calories. Carbs should be set to 20 percent or less, and fats will make up the remaining. On high-carb days, protein intake can be set to 30-40 percent, while carbs should take up at least 50 percent, and fat will be set to less than 20 percent. These macronutrient ratios and the number of days in your cycle can shift based on factors such as your metabolism, activity level, and how your body responds to carbs. For the first 4-8 weeks, follow one high-carb day every 4-7 days, then shift to one high-carb day every 3-5 days. Reserve your high-carb days for when you are performing your most intense workouts in order to fuel them and maximize recovery and muscle growth. Traditional low-carb diets do work for fat burning, but they can often cause severe cravings, depleted energy levels, and some lost strength. What's more, lengthy periods on a low-carbohydrate diet plan may result in metabolic slowdown and a decrease in the anabolic hormones that can stimulate muscle protein synthesis and growth. Cycling between high- and low-carb days helps to stimulate metabolism and decrease cravings while keeping energy levels where they need to be. While the low-carb days promote fat burning, the high-carb days—coupled with resistance training—promote anabolism, which leads to muscle building. High-carb days can also make you feel more energetic, propelling you through the next low-carb days until you're back to a high-carb day. Ketogenic diets are high in fat, moderate in protein, and low in carbohydrates. Ultimately, fats should constitute the majority of your calories, anywhere from 60-70 percent of your daily intake, and protein intake should be around 20-30 percent of your daily calories. Carbohydrate consumption is negligible—5-10 percent—and shuoldn't exceed 50 grams per day. Ketogenic diets are high in fat, moderate in protein, and low in carbohydrates. Carbs are so low on this diet that the body's main energy source becomes fat, a state referred to as ketosis. That's because when carb sources are low, the liver starts to convert fat stores and dietary fat into ketone bodies, which can power the brain and body in replace of glucose. A keto diet should include higher-fat meats, fish, eggs, nuts, and healthy fats like those found in coconut oil. There's no room in this diet for starchy carbs from sources such as oatmeal, whole grains, and fruit. Needless to say, you can say goodbye to pasta and rice on this diet. Becoming keto-adapted—meaning, able to burn ketone bodies for energy—can take several weeks, depending on your activity level, metabolism, and how well you store and hold on to your muscle glycogen. How long you can remain on the ketogenic diet will depend on your ability to withstand a lack of carbs. 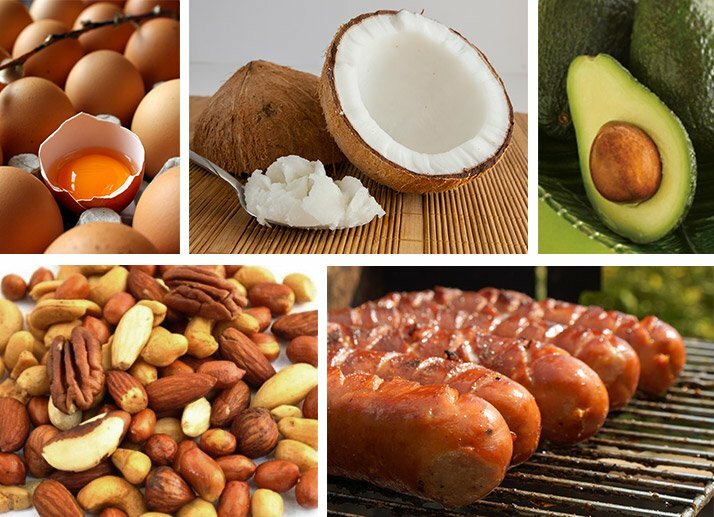 A keto diet should include higher-fat meats, fish, eggs, nuts, and healthy fats like those found in coconut oil. There's no room in this diet for starchy carbs from sources such as oatmeal, whole grains, and fruit. Make no mistake, ketogenic diets can be tough, and they're not for everyone. I've followed this diet once, and once was enough for me. This diet can deplete energy levels, cause severe carb cravings, and can lead to brain fog, which can make it difficult to get through workouts—or perform daily tasks properly, for that matter! Supplementation with a quality fat burner, pre-workout powder, and BCAAs are essential during this tough diet. These products will give you the energy and focus to complete your workouts and get through the day while helping to preserve your hard-earned muscle. 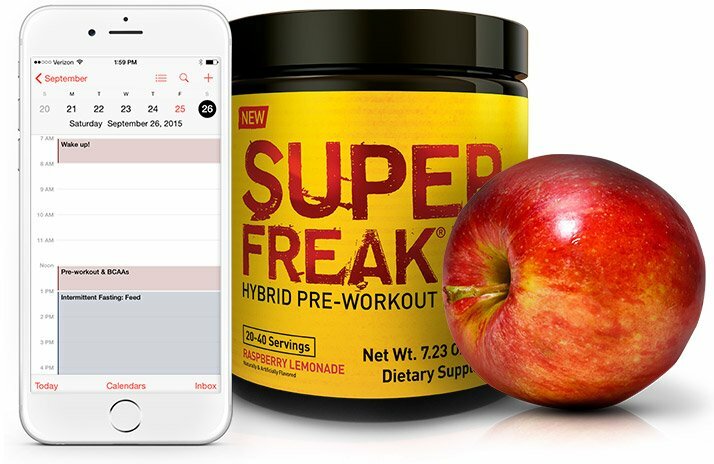 Check out PharmaFreak's complete supplement lineup! Go Now! Heilbronn, L. K., Smith, S. R., Martin, C. K., Anton, S. D., & Ravussin, E. (2005). Alternate-day fasting in nonobese subjects: effects on body weight, body composition, and energy metabolism. The American Jjournal of Clinical Nutrition, 81(1), 69-73. Klempel, M. C., Kroeger, C. M., & Varady, K. A. (2013). Alternate day fasting (ADF) with a high-fat diet produces similar weight loss and cardio-protection as ADF with a low-fat diet. Metabolism, 62(1), 137-143. Johnstone, A. M., Horgan, G. W., Murison, S. D., Bremner, D. M., & Lobley, G. E. (2008). Effects of a high-protein ketogenic diet on hunger, appetite, and weight loss in obese men feeding ad libitum. The American Journal of Clinical Nutrition, 87(1), 44-55. Alex Savva is a sought-after strength and conditioning expert, founder of CircuitFIT, co-founder of Pharmafreak and much more.